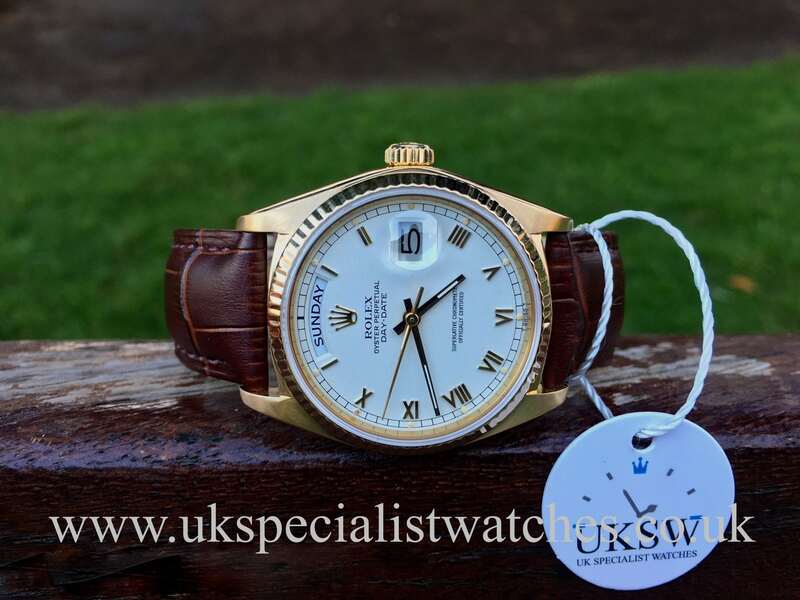 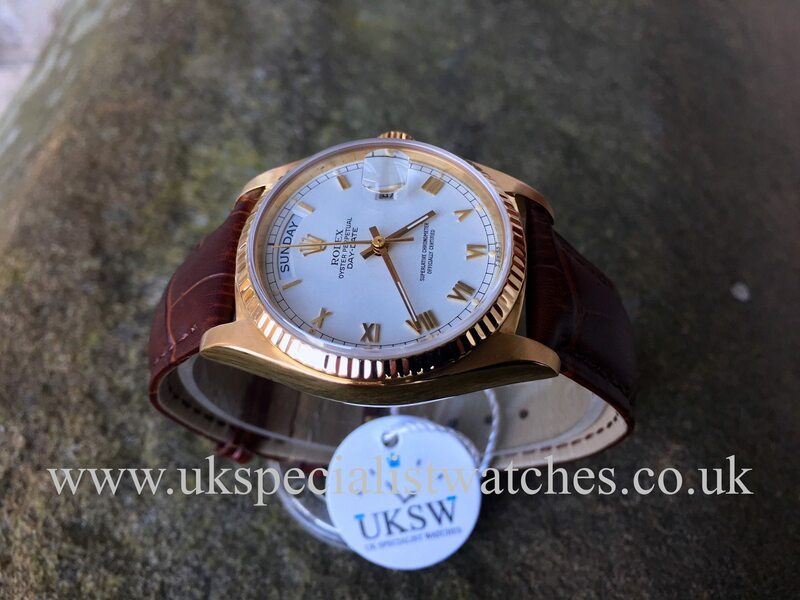 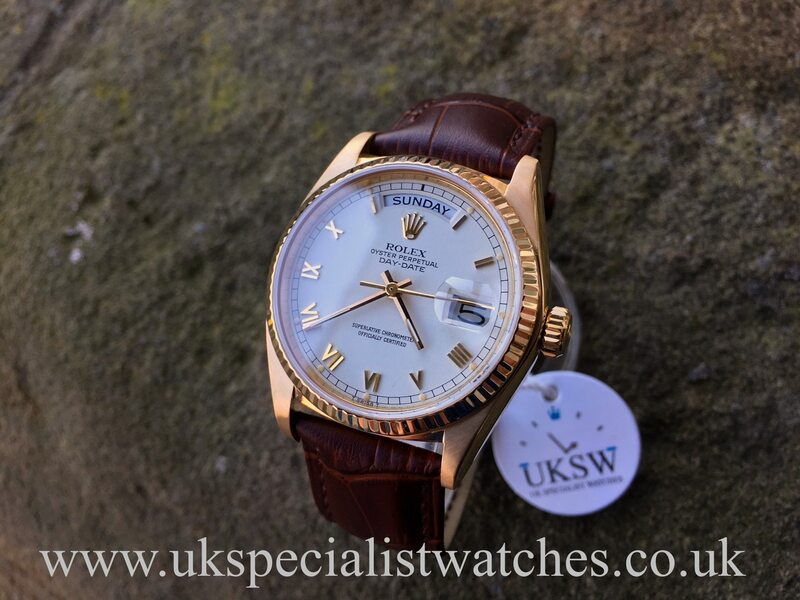 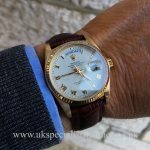 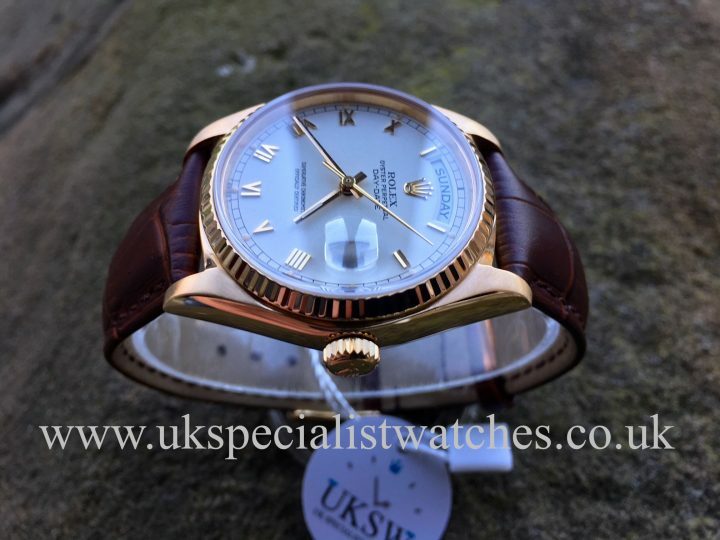 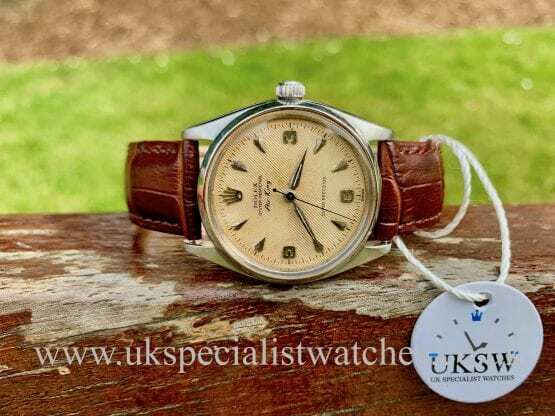 Rolex Day-Date President 18038 vintage 1978. 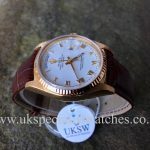 Solid 18ct yellow Gold 36mm case. 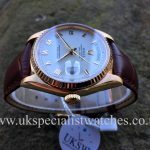 White dial with gold Roman numerals and hands. 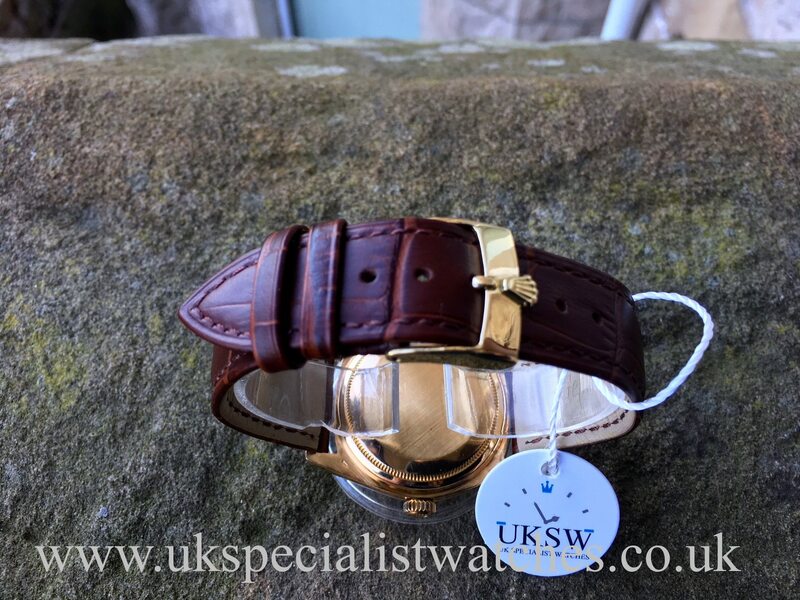 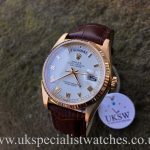 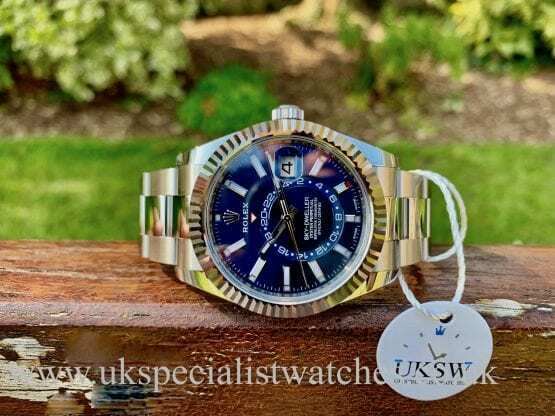 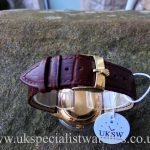 18ct gold fluted bezel, fitted to a brown croc padded strap with 18ct gold rolex buckle. 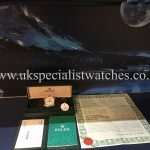 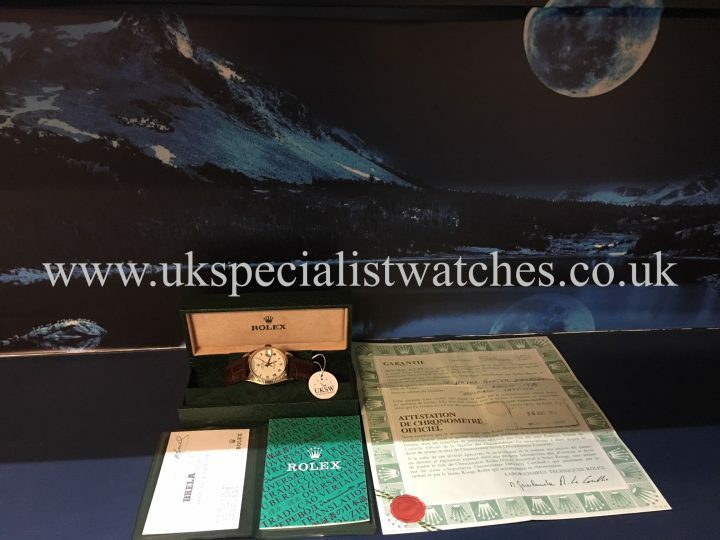 Our totally immaculate example was supplied new in 1978 and comes with box and original stamped punched papers, translation booklet and green wallet.